Always on the look out for our next great read, such is the life of the book blogger. But what about all of those books that you've already read? Do the impressions they left with you ever fade? If you're like us, probably not...but as we aim to spotlight both books and the bloggers that support them, we want to give YOU the opportunity to share your experience! 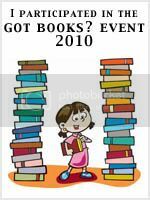 Below you will find links to several posts featuring the books up for grabs in our Kick-Off Contest. Have you read one of them, perhaps more than one? Great! Within each post, you will have the opportunity to link YOUR review of that title to share with other potential readers. Haven't read any of the ones on the list as of yet or perhaps you have but you'd like to share another post as well? No worries, we've got you covered. The last link will take you to a post where you can share with us YOUR favorite book review whether or not it's a part of the prize pool; after all, we love adding to our TBR lists and can pretty much guarantee you do to.